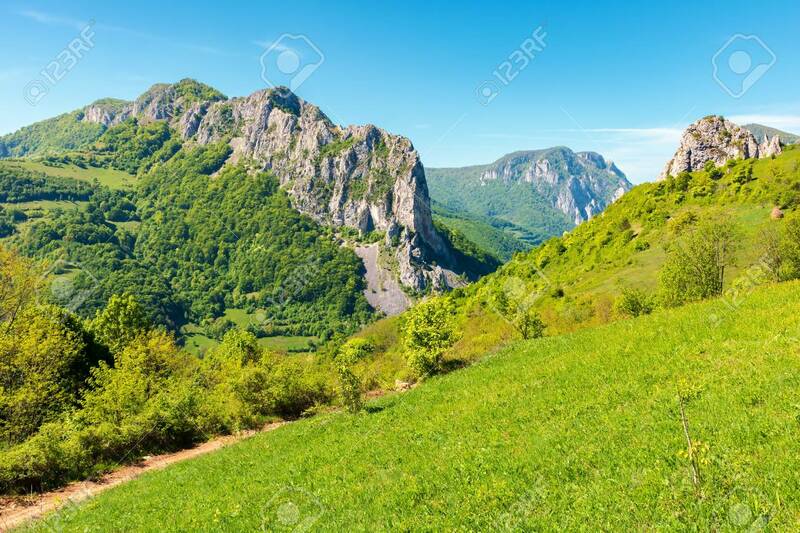 Mountains Of Romania With Steep Cliffs Above Narrow Valley. Landscape.. Stock Photo, Picture And Royalty Free Image. Image 116824768.